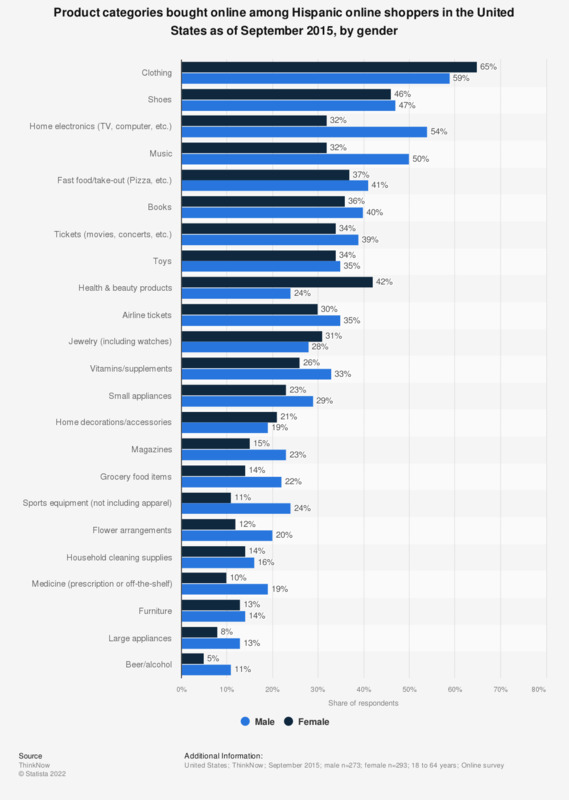 This statistic presents information on the product categories bought online among Hispanic online shoppers in the United States as of September 2015, sorted by gender. During the survey period, 42 percent of responden female Hispanic online shoppers stated that they had shopped online for health and beauty products in the past twelve months. Q2. Thinking of the past 12 months, which of the following product categories have you purchased online? Statistics on "Online shopping in Italy "
Online pet care market in the U.S.
What are the main reasons why you decided to purchase watches, jewelry and silverware online instead of going to a traditional shop? Which are the main reasons why you prefer purchasing furnishing articles online? How do you use social media while shopping? What device do you use to shop online? Which of the following statements apply to your online shopping behavior?